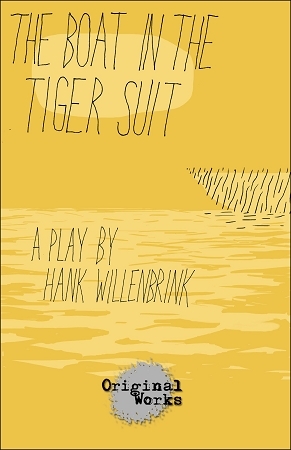 Synopsis: Set on two different boats, The Boat in the Tiger Suit begins at Herman’s funeral, who left his family to join the army (and hide from his wife in the process). As Herman’s wife searches for reasons to make her adult children stay, her son Rene slips off to seduce Gene, the solider who accompanies Herman’s casket. Meanwhile, Rene’s sister April attempts to free herself from longtime partner and high school sweetheart, Dave. Tacit allegiances are formed, tried, and tested as the quartet of remaining characters stare into an uncertain future of turbulent waters which may contain tigers.